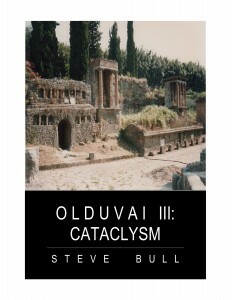 Olduvai III: Cataclysm is now available! Get the entire trilogy for $9.99 CDN. Welcome. This blog serves two purposes. 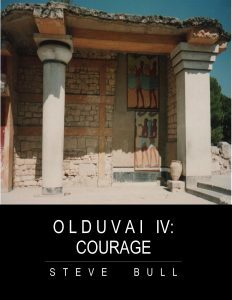 The first is to introduce my ‘fictional’ novel series, Olduvai (see more below). The second is to highlight daily current events and essays/blogs/analyses/media articles/etc. (see Latest Posts to right) that tie into the book’s various themes: resource depletion, limits to growth, weather anomalies, geopolitical tensions, survival skills, liberty, economic collapse, and others. Please support this site by buying the book(s). 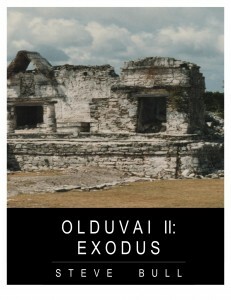 The title of the book, Olduvai, is derived from the ‘Olduvai Theory’, proposed by Richard Duncan in 1986. Duncan argues that because of the imminent collapse in cheap and easy-to-access portable energy stores (fossil fuels) humanity is destined to return to a stone-age way of life with the global loss of the electrical power grid in the not-too-distant future. 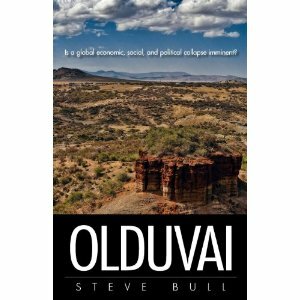 He used the term ‘Olduvai’ to make reference to the Olduvai Gorge in Tanzania, Africa. This area has been a treasure trove of hominid and pre-hominid fossils made most famous by the multi-generational explorations of the Leakey family. The book uses ‘current’ events to create a fictional tale that has the perfect storm of crises (i.e. damaged environment, geopolitical tension, dwindling resources-particularly energy, decreasing liberty, and the implosion of a manipulated global financial system). It documents the social and individual impact of stresses that have overwhelmed the complex systems we depend upon. While set in Canada, the topics and issues impact us all, regardless of location. Basically, the novel attempts to document the collapse of our industrial civilisation at the end of what has been termed the ‘Carbon Age’. Non-fictional events and issues, along with scientific research and theories, are embedded in a tale of loss and discovery. Although all primary sources of energy are important, the Olduvai theory identifies electricity as the quintessential end-use energy of Industrial Civilization…[A]ccording to the Olduvai schematic, world energy production per capita will decrease…[then] there will be a rash of permanent electrical blackouts worldwide. Consequently the vital…functions—communication, computation, and control—will be lost. …Mother Nature then solves for us the (apparently) insuperable problem of the Tragedy of the Unmanaged Commons, which the human race seems either incapable or unwilling to solve for itself. Governments have lost respect. World organizations are ineffective. Neo-tribalism is rampant. The population is over [seven] billion and counting. Global warming and emerging diseases are headlines. The reliability of the electrical power networks is failing. And the instant the power goes out, you are back in the Dark Ages. [W]e face the unfolding of interlocking ecological, energy, and economic crises that threaten to unravel the social and political fabric of human communities everywhere…[T]hese seemingly separate crises are in fact manifestations of the dysfunctional global, political, economic, ideological, and ethical system that characterises industrial civilisation in toto…[and] the real threat to civilisation is not from the outside. It is from itself…. [These crises] demonstrate the inevitability of two world events before the end of this century: 1) the end of industrial civilisation as we know it; and 2) the coming of a post-carbon society. …[H]umanity has achieved an unsustainable pinnacle of population size and consumption rates, and that the road ahead will be mostly downhill–at least for the next few decades, until humanity has learned to live within Earth’s resource limits…[T]he industrial expansion of the past century or two was mainly due to our rapidly accelerating use of the concentrated energies of cheap fossil fuels, and that as oil, coal and natural gas cease to be cheap and abundant, economic growth will phase into contraction…[T]he imminent decline in extraction rates will be decisive, because global transport is nearly all oil dependent…[T]he shift from growth to contraction will impact every aspect of human existence–financial systems, food systems, global trade–at both the macro and micro levels, threatening even our personal psychological coping mechanisms. We live in an infinite growth paradigm which requires growth forever. It’s not that Bernie Madoff was a pyramid scheme…the whole economy is a pyramid scheme, the whole global economy cannot be sustained. It requires infinite growth, but infinite growth collides with finite energy. The first law of thermodynamics says that energy can neither be created nor destroyed. It can only be transferred from one form to another…You have finite energy and you have a financial paradigm which demands infinite growth and we are at a point in human history where the infinite growth paradigm collides with something that is more powerful than money is. The people who have run the planet to this point and are running the planet now are losing control. What I see is a new paradigm that is as cataclysmic as the asteroid event that killed almost all life on the planet and certainly the dinosaurs. We may be seven billion people by the time anyone sees this interview. All of those people exist, are on this planet only because of oil. That’s it. So it’s axiomatic that if you take the oil away, the population must go away also. Certain things are inevitable right now. FDIC insolvency I will tell you is coming. Insolvency of the Federal Reserve is coming. The Federal Reserve can go bankrupt. T-Bill defaults. We’re looking at major bankruptcies, starvation, dislocation, all these things are already on the way. Everything is going to breakdown. This seems to be hyperbolic and dogmatic. The human population increase is due to human copulation. Oil might play a secondary role as a lubricant, but that’s it. If you take away the oil you merely take away a convenience. Humans as hunter-gatherers would have continued to exist without fossil fuel energy. The only difference being that we talking about a human population of ten of millions instead of tens of billions. If you haven’t viewed the documentary with the late Michael Ruppert (Collapse–see video section), I would suggest viewing it to get a bit more context as to his statement. He makes a valid argument that our leveraging of fossil fuel-based energy has exacerbated human population growth. When we remember we are all mad, the mysteries disappear and life stands explained. -Mark Twain. [see Denial: Self-Deception, False Beliefs, and the Origins of the Human Mind by Varki, for a succinct analysis of why]. The best of the best of us are still rabid, howling at the moon mad. Take this site and its participants. Do you have a car? Cell-phone? Take trips? Have the usual bulging closets of stuff? Imagine that writing more books telling evil people [definition: unnecessarily destructive] not to do evil things will somehow help, that we all don’t unconsciously know exactly what we’re doing, that we do not love death? Do you not see the irony and hypocrisy of posting ‘green’ videos? Talk the talk, sure [i could be wrong]. But if you don’t walk the walk, expect occasional rudeness from people like me. An old green who, while volunteering, sees these behaviors daily. [To those of you to whom it applies]. I assume that you wrote this comment on tree bark using Indian Ink and a feather, and then delivered it to Steve on a pony? I sorely miss Michael Ruppert. He may have had his personal troubles but his love and passion for truth, justice and freedom was something to behold. I think emotionally towards the end it was just too much for him to bear. Your site by the way provides some necessary education for a public who deny bluntly the effects we have had on our finite planet. And yes resources including oil, gas and water are finite for all of us and I think very soon now we find out what it means to have a permanent disruption to our modern civilizations. I used to spend hours weekly at “Life after the Oil Crash”. Glad to see something of a similar nature here. Also a concerned Canadian. Your perspective on things is interesting as it closely parallels my own. I too saw Michael Ruppert’s Collapse, at a very small theater in Edmonton when it first came out. It changed my life in a very big way. Having stumbled across None Dare Call it Conspiracy as a young man in the early 80s equally changed my view of the world.